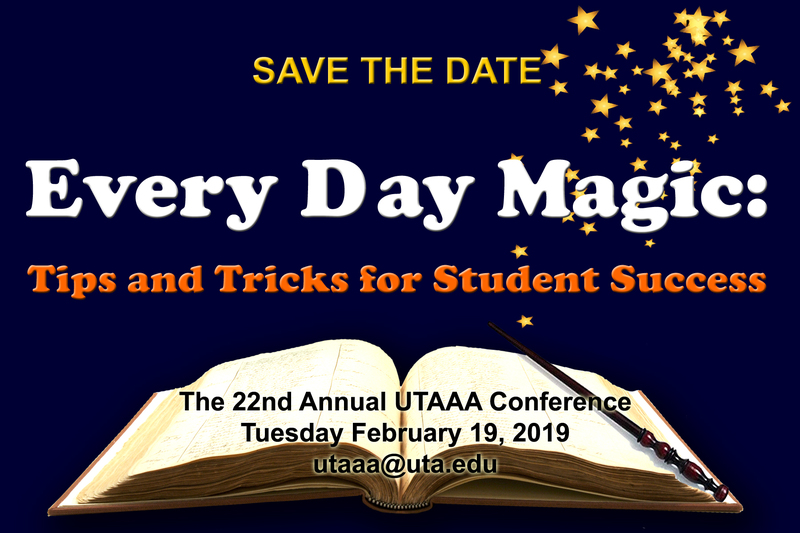 "Every Day Magic: Tips and Tricks for Student Success"
Keynote: Billy Riggs, MRE, MDIV, OMG! Billy was voted one of America’s Top Five Most Entertaining Speakers in 2014, Billy Riggs is a master teacher and has even been called by one teacher “a psychologist masquerading as a comedian and magician. He uses his illusions and comedy to grip audiences, move them to action, improve attitudes, inspire educators, and change lives. Questions? Please email us at utaaa@uta.edu!